Ed. 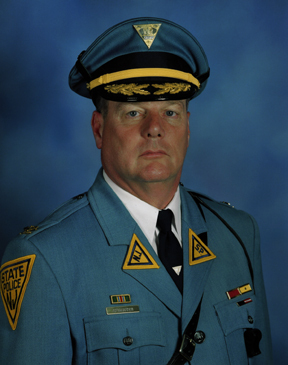 Note: The following article was written by Col. Rick Fuentes, Superintendent, New Jersey State Police. On December 17, 2014, in an unanticipated announcement, President Barack Obama took to the White House podium and announced a new initiative to normalize relations with Cuba. The declaration was preceded in both countries by the release of jailed individuals of mutual interest. As in all matters involving relations between the two countries, voices quickly rose in acclamation and opposition to the announcement. For the New Jersey State Police (NJSP), the startling news prompted a more judicious response. A steel door between the two countries had been pushed open just enough to revisit the tragic execution of a New Jersey state trooper in 1973 and the unfinished business involving one of the convicted felons responsible for that crime. The name Joanne Chesimard strikes a familiar chord in many law enforcement circles, particularly among those veterans of the line who recall the troubled late 60’s and early 70’s. Those years gave rise to a fringe group of frustrated radicals and zealots who chose to walk off the public stage, disavowing nonviolence and opting for bombs and guns in place of posters and chants. America has since spawned three generations of police. In retrospect, today’s police officers have little more than fuzzy recollections of a decade of deadly street encounters and roadside shootouts. In the minds and hearts of the men and women of the NJSP, however, the events of early May 1973 remain as fresh as the ink on a daily newspaper. On May 2, 1973, Trooper James Harper, a seven-year veteran of the force, pulled over a Vermont-registered 1965 Pontiac LeMans for a motor vehicle violation. The stop occurred in close proximity to the NJSP New Brunswick Station, situated on a rise alongside the highway at Interchange 9. The driver of the Pontiac was Clark Squire. Seated next to him in the front was Joanne Chesimard and, behind Chesimard in the right rear passenger seat, was James Coston. All three individuals were self-proclaimed members of the Black Liberation Army (BLA), a small but very violent extremist group tied to bank robberies, bombings and numerous police homicides from Oakland, California, to New York City. Unbeknownst to Harper, all three occupants were also armed with handguns. The trunk of the Pontiac was filled with additional weapons, ammunition, stolen license plates and fictitious identification documents. The trio had just emptied a safehouse and were fleeing south from New York City, where Chesimard was wanted by the New York City Police Department for her alleged involvement in a variety of crimes, including weapons offenses, bank robbery and kidnaping. As Harper approached the Pontiac, Squire exited the vehicle in haste and met Harper between their two cars. He presented a vehicle registration in the name of Isabella Johnson and driver license in the name of Archie Gibson, both later found to be fictitious. On further inquiry, Squire claimed to have no idea who owned the Pontiac or how he came to be in possession of it. Unsettled by Squire’s responses to his questions, Harper walked to the driver’s door of the Pontiac to check the vehicle’s identification number against the registration document and to question the other occupants. As proof of identity, Coston produced a New York hospital identification card under an assumed name. Chesimard fumbled about her seat and through her pocketbook. Trooper Werner Foerster, who was 32 years old with just under three years on the job, arrived in a second patrol vehicle to back up Harper on the stop. Foerster was married with a three-year old son and hailed from a family that had fled East Germany to seek freedom in America. Foerster walked up to the right rear of the Pontiac and immediately began speaking to Squire. While patting down Squire for weapons, Foerster found a fully-loaded .380 caliber magazine and shouted out to Harper, who immediately ordered Coston and Chesimard to put their hands up over their heads. Chesimard suddenly revealed a Llama 9-mm semi-automatic handgun and discharged a round that went through the roof of the Pontiac and struck Harper in the left shoulder. Chesimard continued to shoot as Harper sought cover alongside his police vehicle. Chesimard scrambled out the driver’s door of the Pontiac, followed closely by Coston. Harper was able to draw his .38 caliber Smith and Wesson service revolver and returned fire, wounding Chesimard twice in the right arm and left shoulder. Coston got off three rounds before he was shot once and mortally wounded by Harper. As gunfire raged, Squire drew a concealed .380 pistol and shot Foerster in the right arm, knocking him back. Squire’s weapon jammed and the two began to wrestle and stumbled out of view on the far side of Harper’s police car. Believing he was alone against three armed adversaries, Harper, bleeding heavily and in shock, unable to use his left arm or reload his weapon, made his way on foot to the New Brunswick Station to get help. Meanwhile, Chesimard moved around the Pontiac towards Squire and Foerster. Still in possession of her weapon, she shot Foerster once in the abdomen. Both Squire and Chesimard now stood over Foerster as he lay unconscious on the ground. During the struggle, the trooper had been unable to draw his duty weapon. Foerster’s weapon was ripped from its holster and he was executed with two shots to the head. His blood spattered onto Chesimard’s clothing. Squire assisted the wounded Chesimard and Coston back into the vehicle and the three fled the scene. Emergency radio transmissions brought other troopers to the roadside scene. They found Foerster’s body hidden from view of the roadway, lying next to the blood-stained right rear tire of Harper’s police vehicle. His service weapon was missing, but Squire’s .380 was discarded alongside Foerster. Chesimard’s weapon had also jammed and was located nearby on the ground. Five miles south on the Turnpike, Squire abandoned his vehicle on the right shoulder of the roadway. Coston had since died from his wound and his body was dragged onto the grassy berm next to the vehicle. Foerster’s service revolver had been discarded next to the body in an effort to divert responsibility for the murder. Squire and Chesimard were moving away from the vehicle when a trooper pulled up behind the Pontiac. Squire fled Chesimard’s side and into the woods as the arriving trooper opened fire upon him. Chesimard was quickly captured in a field adjacent to the Turnpike. After a 40-hour search, Squire was located and arrested in a wooded area of East Brunswick. In 1974, Squire was tried for the murder of Foerster and wounding of Harper. He was convicted and sentenced to a term of imprisonment of life plus 24 to 30 years. In all of the previous 40 years of his imprisonment, Squire has never publicly admitted guilt, taken any responsibility or expressed remorse for his participation in the horrific murder of Trooper Foerster or wounding of Trooper Harper. In 1983, Squire testified at the Rockland County trial of Nathaniel Burns, on trial for his participation in a Brinks armored car heist at a shopping mall in Nanuet, New York, justifying the murder of police officers with the expression “an eye for an eye, a tooth for a tooth.” Squire was denied parole in 1993 and again in 2004, but he became eligible once again in 2011. The New Jersey state attorney general’s office is presently mounting a challenge to two consecutive court decisions approving his parole. Chesimard recovered from her wounds and was first sent to New York where, in the course of numerous court proceedings, she was acquitted of pending robbery and other charges. She finally stood trial in New Jersey in 1977 for the murder of Trooper Foerster and wounding of Trooper Harper and, like Squire, was convicted and sentenced to life imprisonment. After spending time in a West Virginia federal correctional facility for women, she was returned to prison in New Jersey in March 1978. A year and a half later, on November 2, 1979, she escaped during a brazen armed assault on her prison wing by a coalition of domestic terror groups linked to the Nyack, New York, police murders in 1981 and the bombing of the U.S. Capitol in 1983. For several years, Chesimard remained underground, hiding out in a network of terrorist safehouses in the Northeast United States. In or around 1984, she was smuggled into Cuba. In 1985, when the Newark Division of the Federal Bureau of Investigation and the New Jersey State Police joined forces to create the country’s third joint terrorism task force (JTTF), the matter of Chesimard’s escape from custody was transferred to federal jurisdiction and a federal unlawful flight to avoid confinement warrant (UFAC) was issued. State Police detectives assigned to the JTTF never took their hands off the case and, alongside FBI special agents, have labored intensely ever since, running every lead to ground and never taking their sights off the elusive goal of returning Chesimard to U.S. custody. It was no surprise to detectives and special agents when Long Island Newsday broke the story of Chesimard’s presence in Cuba in 1987. In February 1998, WNBC New York television news reporter Ralph Penza was granted an exclusive personal interview with Chesimard that featured her privileged life in a Cuban sanctuary. In addition to intense overt and covert investigative efforts, in the 35 years since her escape and 31 years since she emerged in Cuba, there have been many political and diplomatic endeavors to return Chesimard to prison in New Jersey. In 1997, former NJSP Superintendent Colonel Carl Williams wrote a letter to Pope John Paul II, asking him to broach the Chesimard matter during a papal visit to Cuba. In September 1998, both the U.S. Senate and House of Representatives unanimously passed concurrent resolutions compelling the return of Chesimard as part of any diplomatic effort to normalize relations with Cuba. 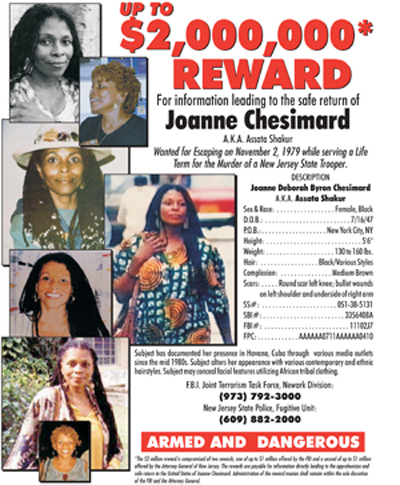 In May 2005, at the request of the NJSP and New Jersey Office of the Attorney General, FBI Director Robert Mueller and U.S. Attorney General Alberto Gonzales raised Chesimard’s reward to $1 million. In doing so, they classified Chesimard as a domestic terrorist. That same year, the New Jersey state attorney general and state police superintendent traveled to Miami, Florida, to meet with Cuban exile groups, conduct media interviews, and, to pass out English and Spanish wanted flyers announcing Chesimard’s increased reward. 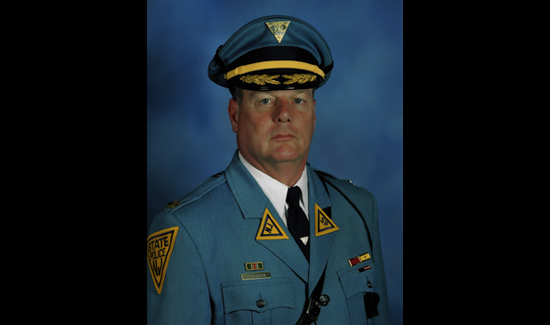 On May 2, 2013, on the 40th anniversary of Trooper Foerster’s murder, the State of New Jersey pledged a $1 million match to increase Chesimard’s reward to $2 million. The FBI placed her on America’s Most Wanted Terrorist list; she is the only women to claim that notoriety. 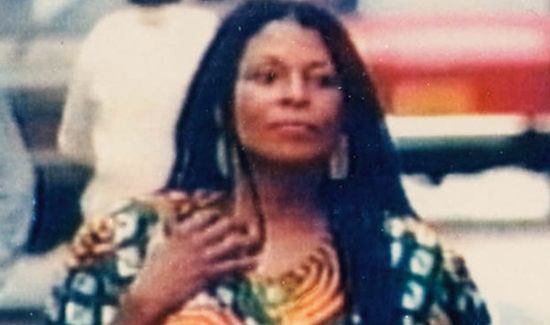 Heretofore, the focus has been upon Joanne Chesimard’s fugitive status; however, it is important to note and consider that Cuba plays host to a number of U.S. fugitives, many who are fleeing prosecution for white collar crimes but some with criminal pedigrees as violent as that of Chesimard. Several of these felons represent members of vintage domestic terror groups whose acts of violent political extremism included the homicide of police officers and innocent Americans. William Guillermo Morales, better known as Willie Morales, age 64, was the principal bomb maker for the Puerto Rican separatist group, Armed Forces of National Liberation (FALN). Utilizing acts of domestic terrorism, the cause célèbre of the FALN was to achieve independence by cutting ties with the U.S. and to force the release of incarcerated individuals with similar extremist beliefs. The FALN freely used bombs in place of rhetoric. During the 1970’s and 80’s, more than 120 bombings against government and financial buildings in the United States and Puerto Rico were attributed to the group. These bombings claimed multiple lives and maimed scores of others. Although Morales’ had a leadership role within the group, he was never charged with two of the most destructive FALN bombings in New York City, the lunchtime bombing of Fraunces Tavern in 1975 that killed 4 people and injured 53 and the 1977 bombing of the corporate offices of Mobil Oil that took the life of 1 person and injured 8 others. Morales nearly lost his own life in 1978 when an explosive device he was assembling inside an apartment in New York City detonated prematurely, blowing off most of the fingers on both his hands and disfiguring his face. Police located an FALN manifesto, documents linked to other group members, and 70 sticks of dynamite in the apartment. In two consecutive federal and state trials held in New York City in 1979 for possession of bombmaking materials and other weapons offenses, Morales was sentenced to 20 years and 89 years, respectively. While serving his state sentence, Morales escaped from a Bellevue Hospital prison ward by slipping out a window and lowering himself to the ground using an ACE bandage, surely a daring feat for one so handicapped. Morales fled to Mexico where he surfaced within a rebel leftist group responsible for the murder of a Mexico law enforcement official. Mexican authorities finally tracked him down in 1983, capturing him after a shootout that wounded two Mexican police officers. He was imprisoned in Mexico for five years while the United States petitioned for his return. In 1988, as the date of his extradition approached, the Mexican government inexplicably released Morales and sent him to Cuba. Morales has remained in Cuba since and is currently the subject of a U.S. federal UFAC warrant. A longstanding member of the FBI’s Top Ten list, Victor Manuel Gerena, age 56, belonged to another Puerto Rican separatist group known as Los Macheteros. Using terrorism and other acts of violence to promote Puerto Rican independence, the Macheteros carried out numerous attacks on U.S. military personnel, police and government buildings in Puerto Rico. In 1978, the Macheteros shot and killed San Juan, Puerto Rico, police officer Julio Rivera. The next year they ambushed a U.S. military bus, shooting and killing two sailors and wounding ten others. In a brazen assault on a Puerto Rico Air National Guard facility in 1981, they destroyed 11 aircraft. Later that same year they carried out a rocket attack on the U.S. Federal Building in San Juan. In 2005, while attempting to serve a warrant upon the group’s leader and fugitive, Ojeda Rios, two FBI agents were shot and wounded. In 1983, Gerena and other Macheteros committed an armed robbery at a Wells Fargo depot in Connecticut, which netted $7 million. Soon thereafter, Gerena emerged in Cuba, where the stolen cash was believed to have been disbursed to support leftist insurgencies throughout Latin America. Gerena has a federal unlawful flight to avoid prosecution (UFAP) warrant for Bank Robbery, Armed Robbery and Theft from Interstate Shipment. On November 8, 1971, Charles Hill, along with Michael Finney and Ralph Goodwin were occupants in a vehicle stopped by New Mexico State Trooper Robert Rosenbloom for a motor vehicle violation on Interstate Highway 40 outside of Albuquerque, New Mexico. Hill, Finney and Goodwin were professed members of a black separatist group called the Republic of New Afrika. During the stop, gunfire broke out, and Trooper Rosenbloom was shot in the neck, ultimately bleeding to death before medical aid could be rendered. Trooper Rosenbloom left behind a wife and two children. After the killing of Trooper Rosenbloom, the trio fled the scene, surfacing three weeks later on a TWA aircraft en route to Chicago, Illinois. They hijacked the aircraft, forcing it first to land in Miami where the passengers were released. The aircraft continued on to Cuba, where all three men were granted political asylum by the Castro government. Charles Hill is now 64 years old and the only surviving member of the trio. In the 1970’s, Goodwin drowned while swimming offshore at a Cuban beach. More recently, Finney died from lung cancer. New Mexico has an active state warrant on Hill for the murder of Trooper Rosenbloom and he is also wanted on federal hijacking charges. Former Cuban President Fidel Castro, and the current president, Raul Castro, closely embrace those with whom they feel a strong political or ideological affinity. It is not apparent or anticipated from the outset of these negotiations that Castro will shed or even dull his political or ideological stripes. On December 22, 2014, speaking through a government functionary, Fidel Castro dismissed New Jersey’s call for Chesimard’s return by claiming the right to grant political asylum to those he believes have been persecuted. On January 28, 2015, Raul Castro, speaking before a Latin American-summit in Costa Rica, delayed the progress of White House negotiations by imposing unattainable demands for the return of the U.S. military base at Guantanamo and financial reparations seeking relief for five decades of the U.S. embargo. In sizing up their adversary’s resolve to broker an agreement, it is becoming more and more apparent that the Castros hold high hopes for American dollars and less vintage cars while boldly signaling their intention to effect little or no change in their political system or stance on human rights. Through the refracted logic of Castro’s Cuba, where persecution is an inflexible pillar of Cuban life, sympathy and refuge is reserved for those firebrands who incite violent acts against the United States and whose murder of police officers and ordinary American citizens are like as many stars pasted upon a revolutionary’s report card. For Chesimard and her revolutionary brethren, Fidel Castro can well promote the clarity of linking politics to the act of murder; his regime practices an authoritarianism that doesn’t permit disagreement or protest without dire consequences. In a New Jersey courtroom, Chesimard was not tried for her politics; she was tried for her actions as part of a society that encourages, endorses and celebrates widely disparate opinions within a legal framework that protects the life and liberty of those voices. It is important to law enforcement now as much as it has been distasteful and insulting to the family of Trooper Werner Foerster to know that Chesimard, for all the misery she has brought to others in her lifetime, has enjoyed decades of preferential treatment and freedom of movement and has been permitted liberties rarely afforded to other than the political and military elite. On December 14, 2014, in response to the U.S. president’s announcement seeking to open United States-Cuba relations, New Jersey Governor Chris Christie addressed a terse letter to the president, asking in the strongest terms that the extradition of Chesimard be included in any negotiations to normalize relations between the two countries. Other police associations and politicians have followed suit, throwing down a gauntlet of support that will be difficult to ignore. Remember that we owe an unfathomable debt of gratitude to those law enforcement officers who have given their lives in the service and welfare of their communities and to the surviving families who must ever suffer those inconsolable losses. As the President and Congress shake out the protocols of building a new relationship with a regime that appears to remain steadfast in its beliefs and practices even in the face of U.S. conciliation, we ask them to remember that the blue lives cut short by those who remain safely harbored by this regime still matter here to the hundreds of thousands of police officers who uphold their legacy. Author’s note: Many thanks go to the hardworking detectives and special agents of the Newark Office’s Federal Bureau of Investigation/New Jersey State Police Joint Terrorism Task Force, who bring a firm resolve to the matter of extraditing Joanne Chesimard. Captain Michael Rinaldi, at the helm of that task force, was kind enough to fact-check the narrative in this article and to provide biographical summaries of all the federal fugitives described herein. The reader should know that the opinions contained herein belong to the author, but do not conflict with the facts of the Chesimard investigations. They simply present a sobering reality in dealing with the existing political regime in Cuba. i have never forgotten this day. I was a new RN at Middlesex General hospital,now known as RWJUH. Joanne Chesimard was brought to our ER with orthopedic injuries. Later I read of her escape and fleeing to Cuba. I can’t believe that she has become so important that Castro provided her asylum. I will be so completely upset if we mend with Cuba and don’t get her back. The fraternity of the state police is so powerful that all these years later you have not forgotten your fallen State Trooper ! Bring her back and put her in death row. Why not use some Special Forces ,to get her out of Cuba There are Federal fugitives there also.Go get all that we can!We have “top of the line”Special Ops” lets use them,Probably have volunteers also to do this job. I will never forget that day. God Bless Trooper Foerster. And I hope we can get Chesimard the justice she deserves. She is an animal.never give up bringing her back to nj. To face justice.rip trooper foerster. God Bless all our police – never forget – never give up on bringing her to justice! Pretty scary thought to have all these scum running loose again here if it is allowed! Upon completing my Military obligations (52 Months active duty) in the US Marines in 1966, I moved from NC to the North Shore of Chicago. My previous 18 months in the Corps had been as a Military Police Officer at the Polaris Submarine Base, Navel Weapons Station, Goose Creek, SC. I applied for and received employment with the Skokie Police Department, spending almost 21 years on the Job. I remember well both the Trooper Forester and the Joanne Chesimard incidents. I do not feel that we, as US Citizens, will ever receive any further compensations than we already have over the years, reference either of these incidents. What concerns me now, is what are President Obama’s goals in trying to “Normalize Relations” with Cuba. Could they be “Self-Serving?” Of course they are. While I believe we should have open relations with Cuba and Porto Rico, I think they should be closely monitored. As I said, I don’t believe we will ever receive any further satisfaction of either of these previous incidents with Cuba. It’s time to move on. Trooper Forester is gone, but not forgot. As for Joanne Chesimard, she is history, and should never be allowed to return to the US, no matter what our relations with Cuba may be. Just my two cents worth, Thank You. I was in the NJSP when this murder occurred. I remember it well and will never forget the Troopers involved. I just hope I live long enough to see this murderer returned to NJ. We should not open up to Cuba without her return and the return of all the other gangsters.